There are still over 600 days until the 2020 presidential election, but Democrats are already jumping into the race. So far about two dozen candidates – including six women, a historic number -- have announced they are running or have launched exploratory committees for a potential presidential run. And now the woman once called the "high priestess of pop religion" is throwing her hat into the 2020 presidential ring. "I want this to be a campaign for people who are ready to be deep thinkers. These are very serious times. We need deep thinking." Williamson told ABC News' Marci Gonzalez. 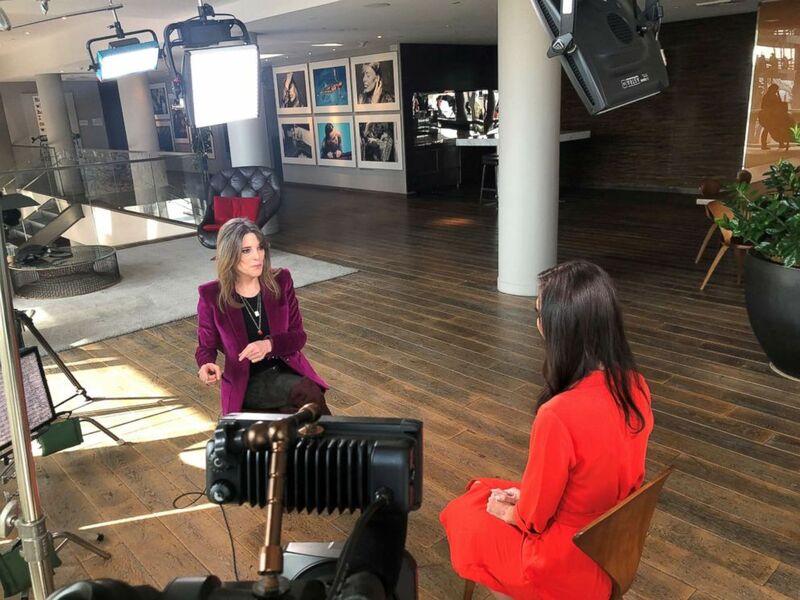 Marianne Williamson is seen here during an interview with ABC News' Marci Gonzalez for "Nightline." Williamson skyrocketed to prominence in 1992 with a life-changing appearance on the daytime talk show, "The Oprah Winfrey Show," after the release of her New York Times bestseller, "A Return to Love." She continued to make appearances on Winfrey’s "Super Soul Sunday" segments on the Oprah Winfrey Network. A political activist who draws huge crowds to her weekly lectures, Williamson stood on the same Southern California stage where she has lectured for years when she announced her decision to run for president last month in front of hundreds of enthusiastic supporters. "I think what we need in the White House is more a visionary than just a political mechanic," Williamson said. "America is morally off course... More than anything else in America today, we need a moral and spiritual awakening." 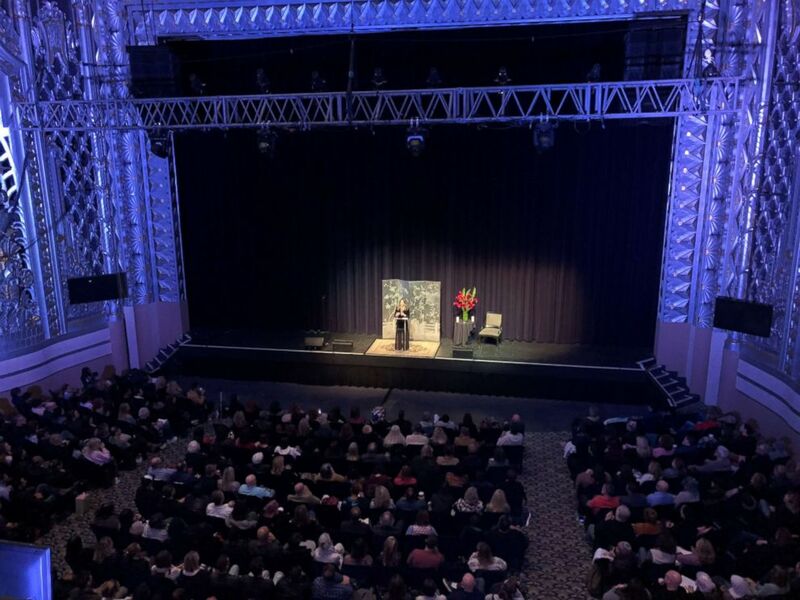 Marianne Williamson was standing on the same Southern California stage where she has lectured for years when she made her announcement to run for president. Williamson said an epiphany led her to decide to announce her candidacy. "It happened in a kind of moment," Williamson said. "It was one of those things where the idea just popped in. You know, I'm sure this is true of everyone who is running. You have to feel a deep calling to do this, or you wouldn't take it on." As for being qualified to serve in the White House, Williamson believes her experience speaks for itself. "We need an awakening of American minds. Show me any traditional politician who's had a 35-year career at that kind of awakening," Williamson continued. "That's a skill set. That's experience. That's expertise. And I believe it is a qualification that would-- you would do very well to put in the White House." She'll need to distinguish herself in the ballooning field of Democratic candidates that already includes Sen. Elizabeth Warren, Sen. Kamala Harris, Sen. Kirsten Gillibrand and Sen. Amy Klobuchar. "I think it's healthy for our democracy that so many people are running," she said of her fellow candidates. "This is an all hands on deck type of moment." Williamson first ran for office as an independent in 2014 in a grab for her home state of California’s 33rd Congressional District. But even with backing from celebrity friends like Deepak Chopra and Kim Kardashian – as well as Alanis Morrisette, who wrote her campaign theme song -- Williamson came in fourth place. 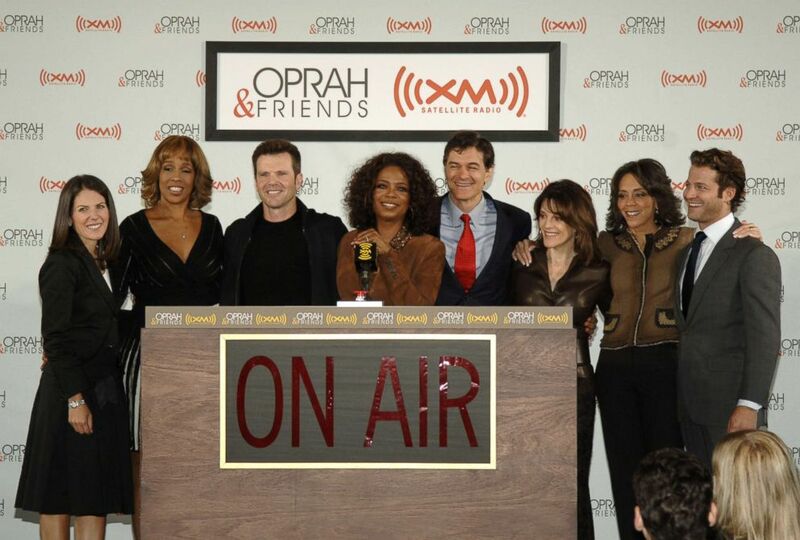 Jean Chatsky, Gayle King, Bob Greene, Oprah Winfrey, Dr. Mehmet Oz, Marianne Williamson, Dr. Robin Smith and Nate Berkus, Sept. 25, 2006. "I thought that it was a legitimate thing for me to run for Congress because I understood the issues," she said. "What I vastly underestimated was the significance of the fact that I knew nothing about running a political campaign. "But you know," Williamson continued. "Many people, including President Obama, lost a congressional campaign before they went on to the next thing." Williamson is firmly a progressive. Her campaign website covers a wide range of issues from climate change and gun control to reproductive rights. She said one of her biggest concerns isn't only replacing President Donald Trump, but also fixing a political system that is fundamentally broken. "I think President Trump is the logical extension and embodiment of a problematic world view that has been with us for a long time," Williamson said. "Our political establishment made the businessman God... the desire in 2016 for change on the part of the American people was legitimate. Now, the change agent we got is no change agent at all, except in the worst possible way," she added. And Williamson is aware of how unconventional her aspirations are. Some of the negative feedback she said she’s gotten so far is that either people don’t know her or don’t see her as having enough experience to handle the job. "I'm a 66-year-old woman," she said. "I'll take on any of these people for the kind of experience I've had in my life that I think is relevant to what America needs today." As she prepares for the challenges ahead on the campaign trail, Williamson said she’s taking to heart the inner peace message she has taught others to find for years. "It's an emotional and psychological challenge, as well as -- an organizational challenge, financial challenge. You have to raise so much money. Not going to be easy," Williamson said of her presidential run. "But exciting to be part of the game, to be in there. I feel I'm where I should be." +Who is running for president in 2020?